Colbert said there is still no timetable for the possible return of inside linebacker Sean Spence, whose rookie season ended after multiple ligament tears in his knee in the preseason. Colbert said Spence, a third-round pick, is progressing and doing everything doctors and trainers have asked him to do. But the injury is so severe -- Colbert referred to it as "an unknown injury" -- there is some question if Spence will be able to come back, not when. "He's not recovered yet and, quite honestly, we have to keep our fingers crossed," Colbert said. "We just hold out hope Sean can have a successful recovery and be a Steeler. INDIANAPOLIS — Devin Hester is back where he started — returning kicks and only returning kicks for the Bears. For now. Hester’s production at wide receiver has diminished in four seasons with Jay Cutler at quarterback — from 57 receptions in 2009 to 40 in 2010 to 26 in 2011 before bottoming out in 2012. He had 23 receptions for 242 yards (10.5 yards per catch) and failed to score on a kickoff return. INDIANAPOLIS – The 2013 NFL Scouting Combine is just about to begin. We’re all set in the media work room inside of Lucas Oil Stadium to cover the top college prospects for the next three days. First, 49ers General Manager Trent Baalke will speak with reporters as several GMs and head coaches will take turns talking to reporters this week. Jim Harbaugh will talk to the press on Friday. As for players, it’ll be offensive linemen, tight ends and kickers talking with the press on Thursday. We’ll share some of their comments throughout the day, but first, let’s take a look at some of the top 49ers related headlines before the start of the NFL Scouting Combine. Robert Klemko of USA TODAY Sports shared an interesting anecdote in a pre-combine story on South Carolina running back Marcus Lattimore. 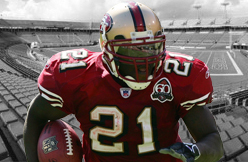 The injured star running back was given a lot of advice after suffering a second major injury to his knee, most notably from 49ers rushing king Frank Gore. Gore dealt with knee injuries in college and was drafted in the third round back in 2005. Lattimore has been pegged as a third-rounder by many draft experts before the combine. Although Lattimore won’t be able to participate in drills, getting the opportunity to meet with coaches and NFL doctors this week will be crucial for him. Ray Lewis has joined another team: ESPN. SI.com first reported on Jan. 3 that Lewis was close to signing with ESPN, and Tuesday at a launch event in New York City for a new ESPN Films documentary series, ESPN president John Skipper confirmed the hire when asked how comfortable he was with the possibility of Lewis as an NFL analyst. The Ravens linebacker will have a significant role next fall as an NFL analyst on the network's Monday Night Countdown program and will also appear on Sunday NFL Countdown and SportsCenter. The formal announcement is expected to come sometime in the next two weeks because the contract is still not officially signed, and neither ESPN nor Lewis is pressing for an announcement. "We had an opportunity last fall to get Ray and we debated internally some of the history," Skipper told SI.com. "Obviously, we decided we were comfortable with it. We must have because we did it. I will tell you we did remind ourselves of some of the issues. We sort of decided that the NFL welcomed him back into the fold and the fans welcomed him back into the fold. I think we are fine with second chances and we think he will make great television. Ultimately, we were comfortable with it." One of Lewis' main requirements was flexibility in his schedule so he could attend the games of his son, Ray Lewis III, who will be a freshman running back/defensive back next season at his father's alma mater, the University of Miami. Lewis will likely work a number of Sundays in Bristol, Conn., depending on his personal schedule. He is not expected to appear regularly on ESPN's airwaves until the start of next season. When SI.com interviewed executives at CBS Sports, ESPN, Fox Sports, NBC Sports and The NFL Network in December to find out who was on their watch lists among current NFL players, Lewis ranked very high. "Ray Lewis has an intensity about him and a way of communicating that is very infectious," CBS Sports chairman Sean McManus said at the time. "He is a bigger-than-life personality, very articulate and [has] an incredible passion for the game. 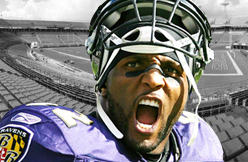 If Ray Lewis decided to take that same passion and put it into a broadcasting career, I think he would be a terrific studio analyst or, I imagine, game analyst, too." 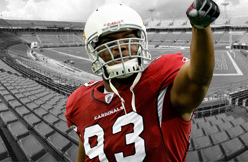 Best choice: Calais Campbell, DE, 2008 second round. Campbell and inside linebacker Daryl Washington were the top candidates in this spot. Both were second-round picks who signed contract extensions in the past year. Campbell's deal averages $12 million per year over the first three years. The three-year average for Washington's deal is $9.2 million. Teams value defensive linemen over inside linebackers as a general rule. That is one reason I selected Campbell over Washington for our purposes here. Arizona credited Campbell with 11 tackles for loss, 6.5 sacks, 14 quarterback hits and seven passes defensed despite missing three games to injury in 2012. Some might point to Patrick Peterson as a candidate for consideration. Expectations for a player drafted fifth overall set the bar high. Worst choice: Cody Brown, OLB, 2009 second round. Brown suffered a wrist injury during his rookie camp, went on injured reserve and never played a down for the team. Brown bounced from the Cardinals to the New York Jets to the Detroit Lions without ever playing in a regular-season game. None of the other 36 players Arizona has drafted since 2008 challenged Brown for consideration in this spot. Ryan Williams, a second-rounder in 2011, could qualify if injuries continue to keep him off the field. Williams has already played in games and shown promise when healthy, however. Brown did not do those things. Verdict pending: Williams, RB, 2011 second round. This assumes the verdict is already in for 2009 first-round choice Beanie Wells, whose future with the team appears tenuous. Williams suffered knee and shoulder injuries during his first two seasons with the team. He has missed 27 of 32 games and averaged 2.8 yards per carry on 58 career attempts. The Cardinals still have high hopes for Williams. There's still a chance Williams will become a key contributor, particularly as the Cardinals upgrade their offensive line. He must stay healthy, however. Item! (that was for you, Jackie Harvey): Orioles infielder/phenom Manny Machado tells Peter Schmuck of the Baltimore Sun that, yes, he is indeed engaged to be married to the sister of Padres first baseman Yonder Alonso. A wedding date has not yet been set. Machado said Yonder is almost as excited about the engagement as the happy couple. "We're already like brothers,'" he said. Yes, it so happens that the Orioles and Padres will meet in interleague play this season -- twice, in fact: in Baltimore on May 14-15 and in San Diego on Aug. 6-7. 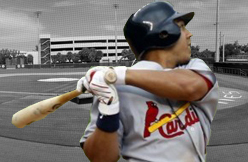 JUPITER, Fla. • Cardinals center fielder Jon Jay signed a contract with the club this morning for the 2013 season, but the conversations could have been much different if only for five more days of service time. Jay fell that many days shy of being eligible for arbitration. As a result, Jay fell into the cluster of players on the Cardinals' 40-man roster with less than three years of service time. Unlike an arbitration-eligible player, who can use that process to increase his salary, players with less than three years of service time have no leverage during the process. The team can enter into negotiations in good faith, but if a deal isn't agreed upon by the deadline — which arrives in early March — the team has the right to impose a salary on the player. Jay made $504,000 last year as the returning center fielder from a World Series team. Terms of his new deal were not immediately known, but he will be one of the highest-paid players for the Cardinals with less than three years of service time in recent years. Jay took over as the team's leadoff hitter last season and finished the year with a .305 average and a .375 on-base percentage in 117 games. He scored 70 runs for the Cardinals. Last month, the center fielder heard from his agent that he would fall less than a week shy of qualifying for arbitration this winter. This week it was announced that "Super Two" status was given to the players between two and three years of experience with the top 22 percent of service time. Under the agreement between the union and the leagues last November, the bar this offseason was set at two years, 139 days. Jay has two years, 134 days. Those five days mean Jay won't have access to arbitration to raise his salary for 2013 and the Cardinals will have control of him for another four seasons. "I came into the year knowing the situation. It doesn't change anything for me," Jay said. "I don't take anything for granted. I know how this game is. You've seen it a lot with guys in other years. You're in. You're out. I work hard to stay consistent. That stuff takes care of itself." The Cardinals are working their way through the contracts for the players with less than three years of service time who are on the 40-man roster. That group includes first baseman Allen Craig, second baseman Daniel Descalso, and starting candidates Trevor Rosenthal and Joe Kelly. PHOENIX — Jemile Weeks, knocked off the mountain top last year, says his Willie Mays Hayes impersonation of 2012 was a fluke and that he's going to make the A's decision on a starter at second base a difficult one. Weeks was the starter at second on opening day last March, got off to a quick and powerful start and seemed poised to replicate his successful rookie season. 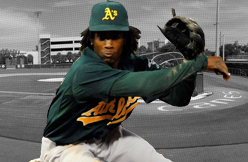 But he tumbled so badly that by mid-August, just about the time Oakland was gearing up for a stretch drive for the American League West title, he was demoted to Triple-A Sacramento. Weeks hit two homers in his first 37 at-bats. There were suggestions that he, like the Willie Mays Hayes character immortalized by Wesley Snipes in ``Major League,'' got focused on the power and got away from the strength of his game, which is to slash line drives, using his speed to get on base and to serve as a generator for Oakland's offense. The line drives never fell in, however. After hitting .303 as a rookie, Weeks had his average peak at .229 on June 2, then flop all over the place from there, finishing at .221 after a three-week stint in August and September in the minor leagues. He won't be alone, however. The man who was supposed to be the starting third baseman last year, Scott Sizemore, is back at what is probably his best defensive position. Jed Lowrie, just acquired from Houston, is a shortstop with power who came into pro ball as a second baseman. Adam Rosales was a rising star in .210 when he hit .271 in about half a season and is trying to come back to relevance. And then there is Eric Sogard, a versatile 26-year-old who manager Bob Melvin keeps talking up. Sizemore lost all of 2012 thanks to a knee injury and is on a mission to become a regular part of the Oakland lineup again. ``It was fun to watch what we did last year; I had the best seat in the house,'' Sizemore said. Lowrie is part of the equation at shortstop as well as at second base. The difference being that second base is open while the A's are going to go with Hiroyuki Nakajima unless he gives them a reason not to. So Lowrie could slip in as the starter at second, where he was a star at Stanford. Melvin is blessed with largess throughout the lineup, and at second base as much as anywhere. Now it's up to someone to grab the position and make it his own, and that should be one of the most compelling stories once Cactus League games start Saturday. 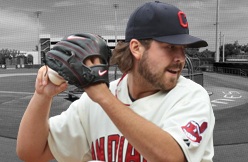 Indians All-Star closer Chris Perez is promising not to run his mouth off the mound anymore. Perez was embroiled in controversy most of last season, when he knocked Cleveland fans for not supporting the team, criticized ownership for not spending money and irritated some opposing teams with gestures on the field. Perez says he won’t be a distraction this season, and new Indians manager Terry Francona doesn’t expect any problems with the colorful right-hander, who had 39 saves last season. Perez doesn’t regret much of what he said last year, but says he “should have controlled it better.” Perez says most of what he said was driven by wanting to win, and he’s certain the Indians will do more of that this season after spending $117 million on free agents. JUPITER — Jon Jay likes to compare the “aura” that surrounds the two teams on which he has spent the majority of his baseball career. The St. Louis Cardinals’ center fielder says there is a prestige attached to the University of Miami and dismisses any notion that the Hurricanes have been tainted by the ongoing NCAA investigation and ties to a more recent performance-enhancing drug probe. The Cardinals tradition and popularity, he says, speak for themselves and is something that he was prepared for after spending three years at Miami. But that microscope on Miami is sharper than ever. Jay has followed the Nevin Shapiro scandal and the recent reports that former Miami baseball players — including Brewers All-Star Ryan Braun, who was a teammate of Jay’s — received PEDs from a now defunct clinic that was operating not far from the Miami campus. But Jay believes his alma mater gets unfairly singled out. Jay, 27, calls the day he was offered a scholarship from Miami as “one of the top moments of my life,” one that undoubtedly includes the day he won a World Series. 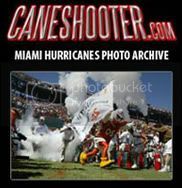 That’s because Jay, who graduated from Miami-Columbus High, spent his youth attending games at Mark Light Stadium and the Orange Bowl and, more recently, has been a regular at the BankUnited Center to see the Hurricanes resurgent basketball program. Jay became a star at UM, twice earning All-America honors (2005-06). Miami advanced to two College World Series in Jay’s three years. Jay was selected in the second round of the 2006 draft by St. Louis and made his big-league debut in 2010. But it wasn’t until a year and a half later, when the Cardinals traded Colby Rasmus, a former first-round pick, to the Blue Jays that Jay was handed the center field job. Jay hit .297 in 2011 and solidified the Cardinals outfield on their way to winning the World Series. But it was last year that he took charge, anchoring an outfield that included Carlos Beltran in right and Matt Holliday in left, and finishing with a .306 average and .373 on-base percentage while hitting leadoff most of the games he played. Rasmus? He hit .223 with a .289 on base percentage. Beltran, a 15-year veteran, including 11 in center field, lauded Jay for his leadership skills. He also believes Jay one day will join him as a Gold Glove winner. Order "Purple Majesty," The Baltimore Sun's new book chronicling the Ravens' Super Bowl championship season. Former Major League Baseball player Alex Cora has joined ESPN and ESPN Deportes as an MLB analyst. Cora will provide insights and analysis for various platforms across both networks, including Baseball Tonight, Beisbol Esta Noche, SportsCenter and other studio programming. He will also contribute to ESPN Radio and ESPN Deportes Radio. Cora, a Puerto Rican native, was drafted by the Minnesota Twins in the 1993 First-Year Player Draft but opted to play for the University of Miami, where he reached the College World Series three times. He was drafted by the Los Angeles Dodgers in 1996 and made his major league debut on June 7, 1998.
season. He stayed with Boston for three seasons and won a World Series with the club in 2007. 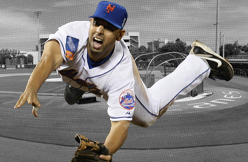 Throughout his 14-year career, he also spent time with the New York Mets, Texas Rangers and Washington Nationals. Cora was a solid defensive player (career .976 fielding percentage) and a versatile infielder with strong knowledge of the game and leadership skills. Most recently, Cora lead Puerto Rico’s Caguas Criollos to the 2013 Caribbean Series in his first year as general manager of the club. Cora previously played for Puerto Rico in the World Baseball Classic – both in 2006 and 2009. Two New Orleans Saints veteran leaders will have to work with the club on adjusted contracts to stick around in 2013. Linebacker Jonathan Vilma and defensive end Will Smith will be asked to restructure their contracts to help the team with its bloated salary cap situation, ESPN's Adam Schefter reports. Both agreed to restructure their contracts last offseason to help the Saints out on the salary cap front. Smith is set to make $9 million with a cap figure of $14.5 million this season while Vilma is due a $4.8 million salary as part of a sizable $8.6 million cap figure. 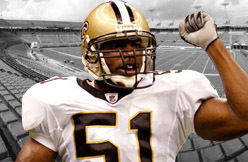 Linebacker Curtis Lofton already has agreed to a restructured deal to stick around in New Orleans as the team shifts from a 4-3 defense to a 3-4 scheme under new coordinator. Saints head coach Sean Payton publicly said this month that Vilma can play in the new alignment while Will Smith may have the flexibility to remain a performer at the defensive end spot in the new front three set. Wallace Davis, now retired after 38 years of coaching football, remembers certain character traits and physical traits of Tim Walton as if it were yesterday. “He was one of those players where you might say: Don’t weigh him, play him,” Davis said. Walton was very much on the small side, playing for Davis’ Carver High Tigers in Columbus, Ga., in the late 1980s. But he played big, and had big thoughts. He blossomed into an all-state defensive back, and an all-city quarterback playing both ways for Carver. Never in trouble, always on time, Walton was the kind of person who made borderline players — in terms of character — avoid making bad decisions. In a move that becomes official either today or Friday, Walton is joining the Rams as defensive coordinator. At age 41, Walton is on the fast track. But he’s not an overnight sensation, either, working for 14 years as a college coach before joining the Detroit Lions as secondary coach in 2009. Walton almost joined the Rams a year ago, as part of Fisher’s original staff in St. Louis. But he turned down an opportunity to become assistant defensive coordinator/passing game to stay with Detroit. No one was happier with Walton’s decision at that time than Lions defensive coordinator Gunther Cunningham. Well, that was last year. This time around, Fisher made Walton an offer he couldn’t refuse as Rams defensive coordinator. And if you believe Cunningham, who has been around the NFL forever, the Rams are getting a good one. Walton didn’t play for Woody Hayes, but he did play for Ohio State and was a co-captain at defensive back for the Buckeyes in 1993. He went into coaching almost immediately after his playing days ended, starting out at Bowling Green (Ohio) State in 1995. He eventually caught the eye of Tommy West at the University of Memphis, who hired Walton as secondary coach in 2000, and then hired him again in 2008 as defensive coordinator. Between his two seasons at Memphis (2000-2001) as secondary coach and his one season there as coordinator (2008), Walton worked at Syracuse, Louisiana State and Miami. In 2000 at Memphis, the Tigers ranked fifth in the nation in total defense. He was part of LSU’s national championship team in 2003. 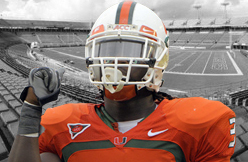 In 2005 when he was at Miami, the Hurricanes led the nation in total defense. Walton has a dynamic coaching style, is a firm believer in the 4-3 front, likes an aggressive approach and prefers press coverage. The Rams played very little press coverage last season, but that could change as young cornerbacks Janoris Jenkins and Trumaine Johnson grow and improve their technique. And that’s one thing Walton is known for — teaching and improving technique. After five NFL seasons, with Seattle and one with Cincinnati, Jennings is working on a master’s degree in Jackson, Miss. Reminiscent of the leader at Carver High who tried to help his teammates make the right decisions, Walton did the same as secondary coach and then coordinator with the Hurricanes. Jennings said Walton also talked to them about finances and investment. Granted, these were college athletes, but Walton’s 2005 secondary at Miami featured three future NFL players in Jennings, Brandon Meriweather and Kenny Phillips. Just about everywhere Walton has been, he has helped groom future NFL players — from Michael Stone and Idrees Bashir at Memphis, to LaRon Landry at LSU to Jennings & Co. at Miami. Now it’s Walton who to some degree must be groomed and grow into his new role as an NFL defensive coordinator. VIDEO: Yasmani Grandal wins "Catching Olympics"
When St. Louis Cardinals center-fielder Jon Jay left St. Louis in October after a crushing defeat by the San Francisco Giants after squandering a 3-1 series lead in the NLCS, he wasn't satisfied. "I'm all fun, I like to have fun," Jay said Saturday from Roger Dean Stadium, the Cardinals Spring Training facility, in Jupiter, Fla. "But, when I step on the field, especially in Spring Training, it's time to work." In 2011, his first full season in the majors, Jay tasted victory. In 2012, he tasted defeat. "Knowing you're so close to achieving something so great -- it hurt a lot," he said. Now, in 2013, he has one mission -- win another world championship. "Just having that sour taste in my mouth last year from being one win away from the World Series -- that's my drive," Jay said. "Yeah, we won the year before but you can never rest on that." While 2011 made for fond memories, his goal is to keep them as just that as he moves forward in his career. Jay said he believes it's all about giving yourself a chance and doing your best to put your team in a position to win. With that said, he believes this team has a good shot at re-visiting that late season magic of the past two seasons. "We get into October with the guys we have on this team," he said. "Obviously health is a big issue, just like with every other team, but if we go out there and we do what we can do I think we have a good possibility." A big part of that stems from what Jay believes is simply the "Cardinal Way." He said it's not about talking a big game, but about walking out on the field day after day and giving your everything. The key for Jay is always looking back and telling yourself you can be better than that. Over the years, the Cardinals have had many players who helped to make the Cardinal way what it is today. It's an idea that comes from generation after generation of players who excelled not only on the field, but in life as well. "I'm just a little piece of that, I've only been here three years, going on my fourth. I'm trying to keep that legacy going now," Jay said. "Rest in peace, that's what [Stan] Musial did." There's even one current Cardinal that Jay said exemplifies what it means to be not just good, but great -- Yadier Molina. Molina's offensive explosion in 2012 took him a step beyond being a fantastic defensive player. "Yadi could have rested on exactly what he did three years ago, but he's become one of the most dangerous hitters in baseball," Jay said. "He's the best catcher in baseball and that's where you want to get. You want to be the best at every facet of the game. You see him here at 5:30 a.m. every day working in the cage, working on the field. Does he need to do that? In reality, no." Jay said what Molina does is setting an example for the younger players, himself included. That, he says, is what makes a Cardinal -- and what makes a champion. With his success in 2012, Jay's name was mentioned in Gold Glove discussions and alongside with impressive defensive players of the past. The humble young player from the University of Miami said he refuses to let that go to his head. "I told everyone it's nice to be mentioned in those categories, but that's not my ultimate goal," Jay said. "My ultimate goal is to win championships. I know if I go out there, stay healthy and stay in the lineup all year, then good things are going to come." He did say it was a real honor to have been mentioned that way in his first year as a starting center-fielder. Right now, his focus is on becoming a better all around player. That's what he believes it takes to win championships. "Wherever I'm hitting I've really got to own that role," Jay said. "If we all do that, it's going to be a positive thing. It's not about the numbers. "That's the way we won in 2011," he said. "It takes more than just one guy on a team. It takes all 25 guys to win." AllCanes Radio broadcasts live every MONDAY night from 7-9pm at Shake Shack Coral Gables right across from the All Canes Store and Campus at 1450 South Dixie Highway. Each week we have a different proCane as our live in-restaurant guest. 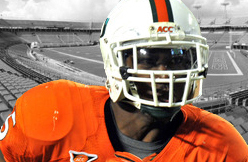 This week we will have future proCane MIKE JAMES and Ravens Super Bowl Champion RB DAMIEN BERRY. Come early to make sure you get a spot to sit and enjoy the best burgers and shakes in town! New Bears coach Marc Trestman admits Devin Hester could be done in Chicago. "(We) had a chance to talk a few minutes but we didn’t get specific on anything," Trestman said. "Just an opportunity to get to know each other but not to put in concrete what his role would be if he winds up coming back." Trestman's "winds up coming back" remark makes it clear Hester is more likely to be cut than retained. It sounds like both sides want a fresh start. Ray Lewis was born to play football, so much so that you wonder if he'll ever find the joy and satisfaction in the rest of his life that he found on the field. You go ahead and pick your iconic image of the man. Here's mine: No. 52 with shoulders hunched, glowering across the line of scrimmage, face paint streaked with sweat, eyes boring in on the quarterback in the seconds before the ball is snapped. Whether we ever got to know the real Ray Lewis in his 17 years in Baltimore is debatable, and we'll get to that in a moment. But here's what we do know: He was the best middle linebacker ever to play the game. And maybe he was the best defensive player of all time, too. He was a two-time NFL Defensive Player of the Year and a 13-time Pro Bowl selection, and he played with an unmatched passion and a love for physical contact that was astonishing. That's why I always maintained that having a jacked-up Lewis do the “squirrel dance” before home games was a smart move on the part of the Ravens. It let him blow off steam. Otherwise, he would have simply roared out of the tunnel during the introductions and laid out some poor sucker on the other team's sideline, earning an ejection even before the national anthem. Opponents feared him like no one else. No one hit harder than Ray Lewis in his prime. He had speed, incredible sideline-to-sideline quickness and a complete disregard for his own well-being. He didn't just tackle. He obliterated. In a memorable game against the Titans in November 2001, Lewis hit George so hard that former Ravens cornerback Chris McAlister famously observed that George “folded like a baby” afterward. But George was hardly the only NFL player who was gun-shy after a hit by Lewis. Chris Sanders, the former Titans wide receiver, conceded being so terrified of the Ravens' fearsome linebacker that he hit the turf in one game rather than absorb another blow. Ray Lewis had a work ethic second to none, with an offseason training regimen that would make a Navy SEAL blanch. He was the undisputed leader of the Ravens, their spiritual heart and soul. He was a master motivator, a true gridiron preacher who made believers of his teammates. Paul Kruger was just one of several Ravens who told me that after listening to one of Lewis' amped-up pregame sermons, you'd go out and fight a pack of timberwolves for the man. He played with a chip on his shoulder and insisted that his teammates did, too. Would it shock you to know that one of Lewis' all-time favorite movies is “Gladiator”? The story of Maximus, powerful Roman general beloved by the masses who is unfairly toppled and reborn as a gladiator burning to exact revenge against his tormentors — that is so Ray Lewis, it's frightening. Except Russell Crowe couldn't summon half the inner fury that fueled Lewis for all those years since his tough childhood in Lakeland, Fla.
Off the field, Lewis was a more complicated figure. The Ravens will tell you he turned his life around after he and two friends were implicated in the killings of two young men in Atlanta after the Super Bowl 13 years ago. Murder charges against Lewis were dropped in exchange for his testimony against his co-defendants. He was found guilty of a single charge of obstruction of justice. Eventually, he paid the victims' families to put several lawsuits behind him. But Lewis never really explained his actions on that tragic January morning that left two men bleeding to death, two families torn with grief, and a host of questions about what exactly happened and who was responsible. Outside Baltimore, the town he grew to love and where he became a generous donor to civic and charitable causes, Lewis has been a polarizing figure. His critics ripped him for being self-centered, egotistical and melodramatic. They accused him of using his deep religious faith as a shield to ward off uncomfortable questions about performance-enhancing drugs that surfaced right before the Super Bowl in the midst of his “last ride” reverie. But Ravens fans embraced him like no other player in the team's history. And whether they ever got to know the real Ray Lewis was immaterial to them. The Ray Lewis they watched for 17 years was plenty good enough. Green Bay - Free agency means different things to different people. In the case of the Green Bay Packers, it doesn't mean sifting through options and targeting prizes as much as managing a system that requires every team to make critical decisions about its future. In the case of cornerback Sam Shields and possibly center Evan Dietrich-Smith, it means getting ready to move into a new tax bracket. The focus in NFL free agency typically lands on unrestricted free agents like Joe Flacco, Greg Jennings, Steven Jackson and Wes Welker, but when the NFL calendar year begins March 12, the Packers will be investing a solid chunk of change in at least four of their five restricted free agents. To maintain the rights to a restricted free agent - anyone with three years of experience whose contract has expired - a team must submit one of three qualifying offers, each of which comes attached with a level of compensation a team must pay for signing one of these free agents. In the case of Shields and Dietrich-Smith, the Packers will have to decide whether to use the top or middle tender offer. The highest tender sets compensation at a first-round pick, the middle tender sets it at a second-round pick and the low tender sets it at the round in which the player was drafted. In any of the three cases, the original team has the right to match any offer made to its restricted free agent. The difficult part for general manager Ted Thompson is that both Shields and Dietrich-Smith were not drafted, so if the low tender is placed on them, there would be no compensation awarded if the Packers didn't match the offer. Shields took his game to a starter's level and anyone who saw him pick off San Francisco quarterback Colin Kaepernick and return it for a touchdown in the Packers' divisional playoff loss knows he's for real. One element of the game the 5-11, 184-pound Shields improved on the most was his tackling, something his fellow starter, Tramon Williams, did not do well at last year. After the 49ers loss, cornerbacks coach Joe Whitt praised Shields for his improvement from 2011, especially after coming back from a high ankle sprain. "To come back and play - especially the last six games - the way that he's played, I think is very encouraging to what he can be in the future," Whitt said. Arguably, Shields could be the team's No. 1 corner next year given his much sought-after skill set, willingness to tackle and experience. But he still has to prove he can be as consistent in coverage as Williams and not have the mental lapses that resulted in him giving up big plays. Regardless, the Packers are going to have to protect themselves either by offering him one of the two highest tenders or signing him to a long-term deal. The latter will be discussed, but a decision on which tender is offered will most likely have to be made. Here's the difficult part about setting the compensation at a first-round pick: It requires a one-year offer of $2,879,000. For Shields, it would mean an increase in salary of more than $2.3 million from 2012. If the Packers use the second-round tender, his salary would be $2,023,000, which is an increase of roughly $1.45 million. The lowest tender, which would present a huge risk if given to Shields, carries a one-year salary of $1,323,000. Two NFL personnel directors and two agents with Packers clients all said they thought Shields was deserving of a second-round tender. The fact that not a single restricted free agent has changed teams since 2008 and none has signed an offer sheet since '09 signifies how little restricted free agency is used. In most cases, teams submit offers to lesser-known players, hoping to get a bargain. 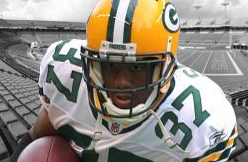 The last Packer to sign a tender offer was cornerback Jarrett Bush in 2009. The Packers ended up matching it. "(Shields is a) very good role player as a third corner, but he is small and more than likely it's safe to assume he will have some injuries because of the lack of size," one personnel director said. "This is a tough one that I'm glad we don't have to ponder this year. "I am guessing they will do the two and will always have the (match) if someone does offer and they want to keep him." Another factor in making an offer to Shields is setting the market for a long-term deal. If the Packers use a first-round tender on Shields, agent Drew Rosenhaus has an admission by the team that Shields is worth big money, which he can use to his advantage at the bargaining table. "Shields? High-tender, I'll bet," one of the agents said. "I wouldn't though. 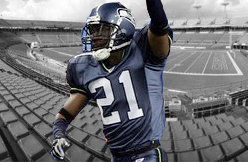 There's lots of UFA (unrestricted free agent) cornerbacks (available) and no one ever moves." Whatever the case, the tenders do affect the Packers' salary cap. It will cost them roughly $2.4 million against the cap per player to offer the first, $1.6 million to offer the second and $850,000 to offer the low. In addition to Shields and Dietrich-Smith, the Packers' other restricted free agents are tight end Tom Crabtree, linebacker Robert Francois and linebacker Frank Zombo. If tenders aren't made to any of those players, they automatically become unrestricted free agents. Dietrich-Smith is another player Thompson is going to have to think long and hard about. He moved into a starting role at the end of last year and is looked upon as the center of the future, so losing him would be a huge blow to the offensive line. If Thompson offers the low tender, he can always match the offer, thereby letting some other team negotiate a long-term deal for him. However, there are other teams seeking centers and the best ones available in free agency are restricted, so the chance to sign one without having to give up any compensation could result in a deal the Packers don't want to pay. If the Packers put the second-round tender on both Shields and Dietrich-Smith it would cost them $3.2 million in salary cap dollars. They are certain to offer at least the low-round tenders to Crabtree and Francois, which would tack on another $1.7 million. It's doubtful they'll make an offer to Zombo, although they could re-sign him at a lower wage once he becomes a free agent. After cutting safety Charles Woodson, the Packers are nearly $21 million under the salary cap. That total does not include the restricted free agent tenders, which would count against the cap as soon as the calendar year begins. Olympic sprint champion Shelly-Ann Fraser-Pryce was upstaged in her first appearance at an indoor meeting, finishing second behind Murielle Ahoure in the 60 meters at the Birmingham Grand Prix on Saturday. The race was hyped as the resumption of the rivalry between Fraser-Pryce and world 100 champion Carmelita Jeter, but Ahoure powered clear to win in a personal-best time of 6.99 seconds. "My goal is obviously the world championship outdoors, so we've just been training for the 100 meters," said Ahoure of the Ivory Coast, who finished seventh in the Olympic final last year. "It's so cool to come out here in the middle of training and drop a time like this, it's crazy. It tells me it's going to be a really, really good year." Fraser-Pryce ran 7.09, with Jeter coming fourth in 7.18 behind her compatriot from the United States, Barbara Pierre. U.S. sprinter Michael Rodgers ran a season-best time of 6.53 seconds to win the men's 60, holding off Nesta Carter of Jamaica. Antoine Adams of St. Kitts and Nevis was third. Mo Farah, the Olympic champion at 5,000 and 10,000, gave the home fans something to cheer by pulling clear in the final lap to win the 3,000 in 7 minutes, 42 seconds. Farah, one of the stars of the track at the London Games, will not compete at the European indoor championships in Goteborg, Sweden, from March 1-3, instead focusing on running in the New Orleans half-marathon on Feb. 24. He said on Saturday he would be stepping up in distance and aiming to run his first full marathon in London next year. "I think practice will make perfect," Farah said. "The more practice you can do you can get it right." Genzebe Dibaba of Ethiopia attempted to light up one of the biggest indoor meets of the year by breaking the world record in the women's 1,500 but came up short by 2.5 seconds after a solo run from halfway. PEORIA, Ariz. -- Suspended Padres catcher Yasmani Grandal revealed Sunday that he hasn't picked up a bat all winter, the result of two inflamed tendons in his left middle finger. Grandal, who will miss the first 50 games of the season for testing positive for testosterone, will hit for the first time Monday on a practice field. "I've been looking forward to tomorrow for a long time," he said. Grandal, a switch-hitter, said he suffered the injury toward the end of the 2012 season against Arizona on a swing. But he also feels there could have been some damage done dating back to the Arizona Fall League in 2011 when he injured the finger. "It wasn't that bad at first, but then it got worse and worse," Grandal said. "I finished the season hitting with one hand, basically. I think I could have done a lot better had it not been hurt." Grandal said the finger only really hurt him while hitting left-handed, as the left hand is the dominant hand in the swing. Hitting right-handed, the left hand is more of a guide, used for direction. 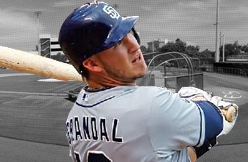 Grandal hit .297 with eight home runs and 36 RBIs in 60 games after a promotion from Triple-A Tucson. This offseason, Grandal was told surgery was a distinct possibility, though four to six months of rest could remedy the issue. That meant no hitting at all, although he was able to work on the defensive side of his game. After he moved to Phoenix from Miami, Grandal placed a call to Padres special assistant and former Major League catcher Brad Ausmus. Ausmus recommended Triple-A manager Pat Murphy to work with Grandal on his catching skills. On Saturday, Padres manager Bud Black said Grandal would be used in Spring Training games, though the two catchers projected to make the Opening Day roster -- Nick Hundley and John Baker -- will see most of the playing time in games. Grandal will play in games once his bat is game-ready. When the team breaks camp in late March, he'll remain in Peoria and play in extended Spring Training games. His manager can already tell how eager Grandal is to start hitting again. "He wanted to hit on the field a month ago, but we had to hold him back," Black said. "Players want to play." Under terms of his suspension, Grandal's eligible to begin a Minor League stint lasting no more than 10 days and that will likely occur in May. 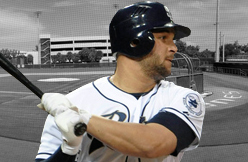 He will be eligible to rejoin the Padres on May 28 when the team is in Seattle. "We've had a plan for a long time. My plan is going to be the same -- just get ready for the season," Grandal said. On Saturday, Grandal spoke to reporters for the first time since his suspension on Nov. 7 for use of a performance-enhancing drug, reading a prepared statement. He also apologized to teammates in a closed-door meeting in the morning. "I think more than anything, he apologized for what this did to our group," Black said. "He needs to continue making amends moving forward. This is part of what he wanted to do." PEORIA, Ariz. -- Reading from a prepared statement, San Diego Padres catcher Yasmani Grandal apologized for a second time following his 50-game suspension for a positive test for testosterone. Grandal was suspended Nov. 7 and issued a statement then through the Major League Baseball Players Association. He read a statement Saturday at the Padres' spring training camp but did not take questions. Grandal also did not comment substantively on last month's report by Miami New Times that he appeared in records of Biogenesis of America LLC, a closed anti-aging clinic in Coral Gables, Fla., under investigation by Major League Baseball for distributing banned performance-enhancing drugs. "I have taken full responsibility for my actions and apologized to my teammates, the fans and the San Diego Padres organization," Grandal said, taking less than 2 minutes to read his statement. "I plan to put that mistake behind me, serve my suspension and continue working hard to be the best player and teammate I can be." As for Biogenesis, Grandal said "I am aware of the various press reports about so-called patient files from a Miami clinic, and that Major League Baseball and others are investigating those allegations." "I intend to cooperate fully in their investigations. I have been instructed by legal counsel not to answer questions relating to the pending investigations," he said. "Based on that legal advice, I will have no further comment." Grandal is allowed to participate in spring training and to play in exhibition games. He will remain at the Padres' training complex after the team breaks camp, while serving his suspension. "It was part of what he needs to do," Padres manager Bud Black said. "He talked to the guys and he'll continue to make amends moving forward. He apologized for what this did to our group." Those in attendance wouldn't discuss specifics, but several teammates volunteered that Grandal said he "hoped" they would accept his apology. Grandal's speech was short, but apparently effective. "He felt like he had something to take care of, and he manned up and did it," center fielder Cameron Maybin said. "He gained a lot of respect by doing it, and saying what he said. He took responsibility. He was accountable. We as a team can put this in the past. We accept his apology and now we're going to move on." Grandal's actions may be forgiven, but Padres general manager Josh Byrnes hopes they're not forgotten. "I don't want to be dismissive of it," Byrnes said. "There's a lesson to be learned here, because this is a serious issue with serious consequences. But I do believe that it won't happen again and that Yasmani's apology was sincere." Grandal hit .297 with eight home runs and 36 RBIs as a rookie last year after being called up on June 2. While he is serving his suspension, Nick Hundley is expected to start behind the plate with John Baker as the backup. Grandal is eligible to return May 28 at Seattle. He can join a Padres minor league team 10 days before that to prepare. 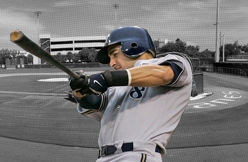 Phoenix - Ryan Braun reported to the Brewers' spring camp Friday and made it clear immediately that he would answer no questions about the report linking him to a Miami clinic alleged to have provided performance-enhancing drugs to baseball players. "I'm excited to be back out here for spring training; certainly looking forward to the World Baseball Classic," Braun said in opening comments to a group of reporters. "I'm obviously excited and focused on our upcoming Brewers season. "I understand why a lot of you guys are probably here but I made a statement last week. I stand behind that statement. I'm not going to address that issue any further. As I stated, I'm happy to cooperate fully with any investigation into this matter. I respect the fact that all of you guys have a job to do. Part of that job includes asking me questions. I'm happy to answer any and all questions about baseball, spring training, the World Baseball Classic or anything else." A Yahoo Sports report last week revealed that Braun's name was listed three times in the ledgers of the now-shuttered Biogenesis clinic under operator Tony Bosch. Unlike previous players named, including Alex Rodriguez, there were no PEDs listed next to Braun's name. There was the dennotation "20 K - 30 K" which supposedly meant Braun owed $20,000 to $30,000 to Bosch. Braun quickly issued an explanation for his name being in the logs of that controversial clinic. He said his attorneys used Bosch as a consultant while preparing their defense of his positive drug test the previous year. Braun tested positive for a high level of testosterone but appealed that finding and had a looming 50-game suspension overturned by arbitrator Shyam Das over irregularities in the shipping of his urine sample. Braun said there was a dispute over the payment to Bosch and thus the $20,000 to $30,000 listing in "moneys owed" to Bosch. He said he had nothing to hide and would cooperate fully with any investigation being conducted by MLB. That investigation is ongoing and Braun's representatives declined a request by the Journal Sentinel to provide corroboration of the consulting relationship with Braun. Braun obviously was not going to provide any additional information so it is up to the Major League Baseball investigation to determine if Braun's explanation was complete. Braun was asked about the support of manager Ron Roenicke, who told reporters two days ago that he didn't think the report should have targeted Braun without evidence of why his name was in the clinic's logs. "Absolutely, I appreciate everybody's support," said Braun. 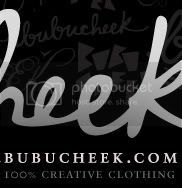 "In life, when you deal with challenges, you see who supports you and who has your back. He certainly has been extremely supportive and for that I am very thankful." Braun was asked about following up his tumultous winter of 2011 with another huge season in 2012 despite being under scrutiny to see how he would perform. "In baseball, you deal with adversity; in life you deal with adversity," he said. "I've always said through adversity you determine someone's character. It's really easy to do well when things are going well. When you deal with adversity, that's when you see what you're made of. You see what your character is. "I try to stay focused on the task at hand. Ultimately, my job is to be the best baseball player I can be, help my team try to win games. That's what I did last year and that's what I will continue to do." Asked about the satisfaction he had to produce another big season, Braun said, "Certainly, it was challenging for sure. But the goal every year is to be productive. I've always said the challenge in this game is consistency and longevity. So the goal is to be as good as possible every year. "Certainly, last year I dealt with some added challenges and adversity. So, it was rewarding for sure." Braun heard much booing on the road last year from fans not willing to give him the benefit of the doubt after his drug appeal and I asked him if he expected it to be any different this year. "I don't think about those things," he said. "I don't think about things that are out of my control. I only focus on the things I have control of." Braun was asked one follow-up question about PEDs. He was asked about MLB expanding its testing for human growth hormone to include the regular season after previously doing so only once during spring training. "I've always been supportive of the system," said Braun. "I've always been supportive of additional drug testing or whatever testing they have that's available." (KSDK Sports) - Even before he took over the starting job in center field from Colby Rasmus, Jon Jay's demeanor was that of a young man having fun, who still hadn't fully come to grips with the fact that his dream of making it as a major leaguer was coming true. And in year four of his career, it's possible that Jay understands he's arrived. The smile is still there, but there appears to be a new seriousness as well. That seriousness may be the result of unfinished business. Remember, the Cardinals were one win away from a return to the World Series. Jay wants to get back there. Bad. Overall in 2012, Jay hit for a .305 avg. a .373 on base percentage a .400 slugging average with a .773 On Base plus Slugging percentage. That's certainly a respectable line score and already more than was expected from him coming into 2012. BRADENTON, Fla. — Clint Hurdle has used the phrase over and over again since his Pittsburgh Pirates acquired Gaby Sanchez at last season’s non-waiver trading deadline. “He’s a special bat,” the Pirates manager says of the first baseman, who came from the Miami Marlins in a trade for outfield prospect Gorkys Hernandez on July 31. It would be hard to tell that by the way Sanchez performed last season. Added in order to give the Pirates a boost in its efforts to win the National League Central title or one of the two wild cards, Sanchez instead became one of the reasons they had their 20th consecutive losing season. Sanchez hit .241 with four home runs in 50 games following the trade. There was nothing special about those numbers. However, Hurdle is convinced the Pirates made a good trade and Sanchez will help the Pirates this season. Sanchez underwent arthroscopic knee following the 2011 season in which he was the Marlins’ representative on the National League All-Star team and hit .266 with 19 homers. That was nearly identical to his 2010 rookie season when he had a .273 batting average and 19 homers. Sanchez, 29, feels optimistic that he can improve upon last season’s overall statistics. Between the Marlins and Pirates, he hit a combined .217 with seven home runs in 105 games. Sanchez is part of a six-man spring training competition for two starting spots — first base and right field — with Garrett Jones, who can play both positions, and outfielders Travis Snider, Jose Tabata, Alex Presley and Jerry Sands. The most likely scenario has the right-handed hitting Sanchez starting at first against left-handed starting pitcher, Snider playing right against right-handers while Jones shuttles between the two positions.